Eva is accompanying her mistress, Princess Catherine of Aragon, to England where Catherine is going to marry the heir to the English throne, Prince Arthur. There is much to get used to in the new land and much to learn, for the ways of the English court are often quite unalike those of the court of Catherine’s parents. With Eva’s help as her translator, Catherine does her best to make a life for herself in the cold and damp castle in Wales where she and her new husband are to live. All too soon however Catherine’s young husband is dead and she is a widow with a very precarious future before her. Henry VII is upset with Catherine’s parents and is unwilling to provide her with financial support. Catherine’s parents insist that it is Henry’s duty to do so. As the two royal families wrangle and argue, Catherine gets poorer and poorer, and more and more desperate. Her hope is that she will be married off to the charming and handsome younger son of Henry VII. Catherine’s dreams do come true when Henry finally dies. Eva becomes the chief seamstress and embroiderer for the new Queen of England. Though things are much better than they were, the court of the new King Henry VIII is still a dangerous place full of political and social intrigues of all kinds. Eva’s words seem to stretch back in time, reaching across the years to us. Her voice is very individual and we are able to ‘see’ her world and her life through her eyes. 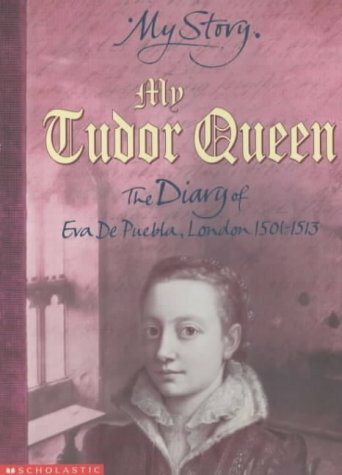 The trials and tribulations that her mistress must endure reminds us that being a royal princess in the 1500’s was not an enviable position to envy. It was a life of service to one’s parents and one’s country.